Your privacy is important to us. Please read our <a href="/privacy">Privacy Notice</a> to see how we collect, use and protect your personal information. We recommend that you do this before using this Site. *(ii) Your Submissions to Noteworthy** All entries are treated with complete confidentiality, you will not be revealed as a source under any circumstances. 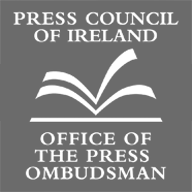 We abide by the Press Council of Ireland Code of Practice which commits us to protecting confidential sources of information. You will only be identified if you choose to be quoted as part of a story that involves you. We may contact you to request further information regarding a submission or to garner your feedback on a proposal based on your submission. In the event that a proposal is planned for publication we will contact you to confirm that the proposal is to be published and to confirm the publication date. All communications with you will be private and protected as per the Press Council of Ireland Code of Practice. By making a submission to Noteworthy.ie, you grant a nonexclusive, irrevocable, worldwide, perpetual, unlimited, assignable, sublicensable, fully paid up and royalty free right to us to copy, prepare derivative works from, improve, distribute, publish, remove, retain, add, and use and commercialise, in any way now known or in the future discovered, anything that you submit to us, without any further consent, notice and/or compensation to you or to any third parties. If you do not want to grant us the rights set out above, please do not make submissions to Noteworthy. (iii) Capacity The site is not directed at children younger than 16 and therefore children under the age of 16 are not permitted to view the Site. We cannot guarantee that all content on the Site will be suitable for minors. You are only permitted to make submissions if you are aged 18 or over. If you are aged 16 years or over but under the age of 18 you must obtain the consent of a parent or legal guardian before making a submission. We cannot and are not required to verify the age of users of the Site. By making submissions to the Site you warrant and represent that you are over the age of 18 or that you are 16 years or over and have obtained the consent of a parent or legal guardian. All intellectual property rights in our Site design, text, graphics, the selection and arrangement thereof and all software vest in Journal Media unless otherwise indicated. Journal Media reserves all of its rights. You may not reproduce, publish, transmit, distribute, display, modify, create derivative works from, sell or participate in any sale of, or exploit in any way, in whole or in part, any material made available on any of our Sites without our written permission unless the use is in adherence to our syndication policy. You agree not to modify, adapt, translate, or reverse engineer any portion of the Site, nor to use any robot, spider, site search/retrieval application, or other device to retrieve, index or screen-scrape any portion of the Site, except as expressly authorised in writing by us. You agree not to reformat or frame any portion of the Site. You agree to respect and follow the restrictions imposed by Journal Media’s robots.txt files. From time to time users contact us with feedback, suggestions and submissions about the Site and how to improve our Site and the services we offer. We welcome your input, and the following terms ensure that we can use your contributions to improve. You do not have to submit anything to us about the Site, but if you do you acknowledge and agree that any questions, comments, suggestions, ideas, feedback, or any other submissions to us which may improve our products, services, or offerings shall become our property unless otherwise agreed by us. By making a submission to us about the Site, you grant a nonexclusive, irrevocable, worldwide, perpetual, unlimited, assignable, sublicensable, fully paid up and royalty free right to us to copy, prepare derivative works from, improve, distribute, publish, remove, retain, add, and use and commercialise, in any way now known or in the future discovered, anything that you submit to us, without any further consent, notice and/or compensation to you or to any third parties. If you do not want to grant us the rights set out above, please do not make submissions to us about the Site. Journal Media operates on a “notice and takedown” basis. If you believe that any content on the Site contains a defamatory statement, please notify us immediately by sending an email to [email protected] Once this notification has been received, we will use all reasonable endeavours to remove the defamatory content complained about within a reasonable time. Although rigorous protocols are applied to the Site we do not warrant that the website is free from infection by viruses or anything else that has contaminating or disruptive properties. You acknowledge that your use of the Site including any material downloaded or otherwise obtained through the Site is at your own discretion and risk and you agree to waive to the fullest extent permissible by law any right to bring any claim or action against us, our investors, successors, subsidiaries, affiliates, co-branders, contractors, employees, servants, contributors, third-party advertisers, technology providers, service providers or other partners, and each of their respective officers, directors, agents, shareholders, employees and representatives, for any loss, damage, costs or injury arising from such use. Our Site may contain links to websites operated by third parties over which we have no control. These links are provided for your convenience only and do not amount to an endorsement or recommendation of those sites. We do not exercise any control or supervision over the content of these linked sites. We are not responsible for the content or accuracy of or for the opinions expressed in these third party websites and these websites are not investigated, monitored or checked for accuracy or completeness by us. We permit third parties to link to our Site as so long as the link: (a) is not in any way misleading; (b) does not falsely imply sponsorship, endorsement or approval of the linking party and its products or services; and (c) fits within the context of the linking party’s site. We may at our sole discretion and at any time discontinue temporarily or permanently our Site or any part thereof with or without notice. Where possible, we will use reasonable efforts to give users fair notice of technical difficulties or termination or suspension of their access to our Site. However you agree that we shall not be liable to you or any third party for any inability to access any of our Sites, termination or suspension of access to our Sites or modification of the service provided.